The seventh letter in this series raises many questions. Why is Otto's paycheck so secretive? Why is it coming from New York? Who was Charles (Grandpa's brother) visiting on Butter Street? What are the other things Grandpa will do once he gets home? Most importantly, will Ray and Otto come home for the weekend or not?! I can't imagine what it would be like to work in one place and have your family in another, even if it's about two hours away like Scranton, Pennsylvania and Paterson, New Jersey is. It must get tiresome to come home every weekend, when you just want to relax from a week of work. 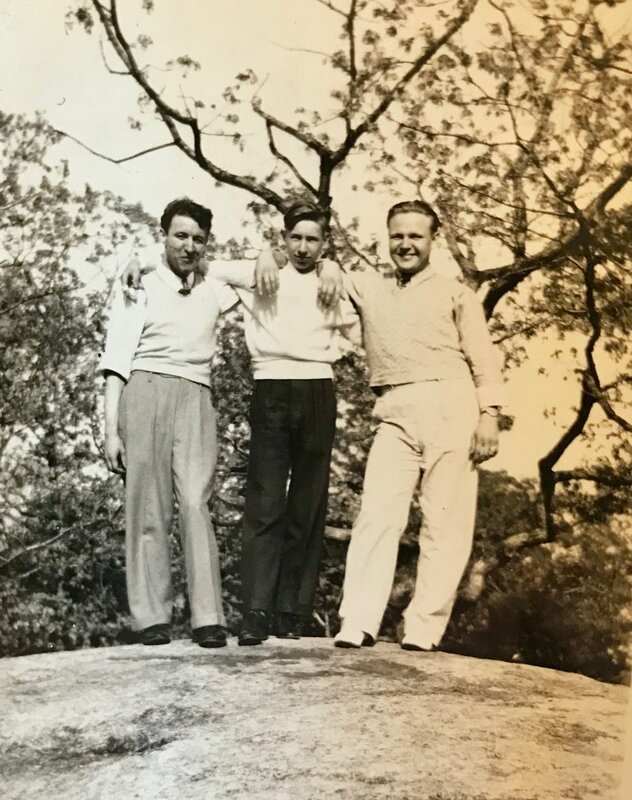 Here's a picture I found of my grandfather, my grandmother's step-brother, and an unknown friend. The friend doesn't look familiar, but I have to look more in my photo archives to see if there are other pictures of him. To me, he looks very Lithuanian so I wonder if it's a relative from my grandmother's side of the family. It's definitely not Otto, who is pictured in this post. Who is this man? I received both your and Joe's letter last night but did not answer them immediately as [I] wanted to have something definite to write about Saturday. If the weather is alright and Otto gets his pay check from New York in time, we will definitely come home this week-end. However there is a chance that we may come home regardless of what happens. Please don't mention anything about Otto's pay check coming from New York as it is not supposed to be public. I sincerely do hope we do go home this week-end as I want so much to be near you and hold you in my arms. I'm sorry to hear your mother and Joe are not feeling well. I hope they get well soon again. It was nice of you to tell me how my folks are. 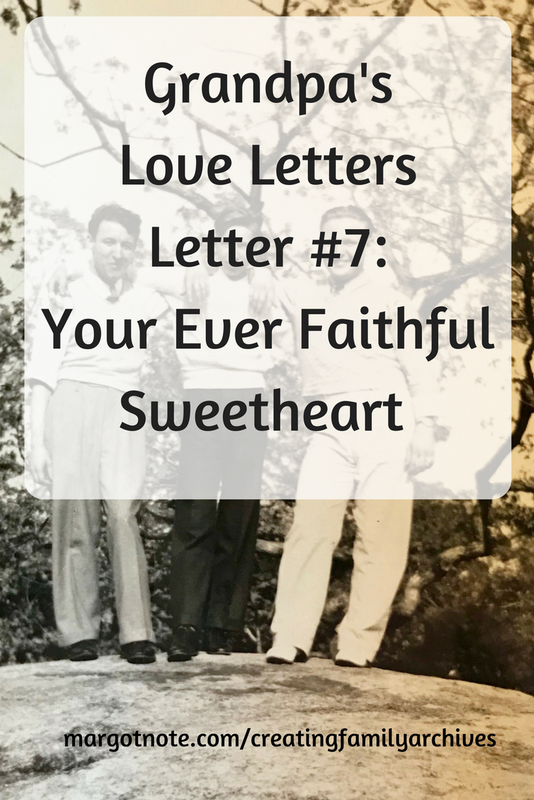 I received a small letter from my father today telling me how everything was coming along at home. I don't know who my brother may have been visiting on Butter Street. I'll be glad to help you to decide about a new winter coat. There is a benefit fund here at the shop which I must talk over with you on Saturday. There are a few other things I would like to take care of when I come home. Things are alright in general at the office and I am getting a little of the new work I am looking forward to. Otto and I expect another young man from Paterson to start here next week, perhaps it will be more definite by Saturday. In closing I remain your ever faithful sweetheart. P.S. I will not know definitely whether or not I am coming home until late Friday night or early Saturday. Give my regards to Joe.